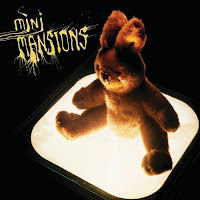 Mini Mansion' self-titled full-length was released yesterday and so was this odd video for their first single, "Kiddie Hypnogogia." Thanks for commenting and I'm glad you enjoyed that Mini Mansions track. The album itself is worth checking out if you get the opportunity.